What is it that makes a spiritual biography appealing? If the person is portrayed just like us mere mortals in every way, the story is hardly inspiring because it is simply too similar to our own lives. By contrast, most Tibetan biographies of great masters present stereotypes of individuals who are more or less perfect from birth. Often these masters are considered incarnations or emanations of previous masters or even buddhas, and their lives follow a set course: birth accompanied by miraculous events, mastery of extensive studies and practices at an early age, teaching and being in long retreats, and then passing away with more miracles. Rarely is there any mention of personal traits or everyday events, let alone of struggles, doubts, or inner conflicts. Unfortunately, such stories fail to inspire as well because they appear to be completely out of the reach of ordinary beings. What is inspiring is the process of developing from a regular person to a genuine example of spiritual progress and accomplishment. This is precisely what Milarepa’s life has to offer us, and it has no doubt contributed to this great yogin’s longstanding importance and popularity as a figure in Tibetan Buddhism. Milarepa’s life story is famous for its timeless themes of evildoing and redemption, unwavering devotion to the guru, perseverance in the face of many hardships, and one-pointed dedication to the path. What’s more, his life exemplifies how an ordinary being can become a complete buddha in a single lifetime. In The Yogin & the Madman, author Andrew Quintman takes a careful look at how Milarepa’s life story was recorded and transmitted, including how its structures and functions transformed over time. To that end, he formulates three methodological goals: (1) to stop trying to distill fact from fiction; (2) to see the value of the different versions of Milarepa’s life as a way to understand religious, social, and literary history versus seeing them primarily as inert mines of data; and (3) to focus on the formal literary qualities of a textual corpus while paying close attention to its production, dissemination, reception, and intertextual relationships. In the process, Quintman brings a wealth of forgotten early biographical materials back to light and explains how a much later biographical work by Tsangnyön Heruka became the standard version that eclipsed all previous ones. Quintman begins by discussing the three earliest biographies of Milarepa, written by direct disciples: Gampopa, Ngendzong Repa, and Rechungpa. The life stories presented here are little more than character sketches and contain only brief references to Milarepa’s famous songs, saying nothing of their contents. One very human episode is found in Gampopa’s biography of his guru, which describes Milarepa at the beginning of his meditation career practicing with a butter lamp on his head. Having forgotten about the lamp, he opened his eyes, saw a brilliant light, and concluded that some special meditation qualities had arisen. Quite predictably, this episode is not preserved in later versions. The only subsequent biographer to mention Milarepa meditating with a butter lamp on his head is Tsangnyön, but he presents this as a sign of Milarepa’s determination to remain still without the lamp falling off. Next, Quintman discusses what he calls “the proto-Life/Songs,” six works by Kagyu masters that span several centuries. They present only skeletally brief biographies of Milarepa but include for the first time some collections of his songs. Quintman also examines two biographical compendia, which represent mature versions of the proto-Life/Songs, with structured and complex narratives spanning the full arc of Milarepa’s life, including elaborate descriptions of the events surrounding his death. 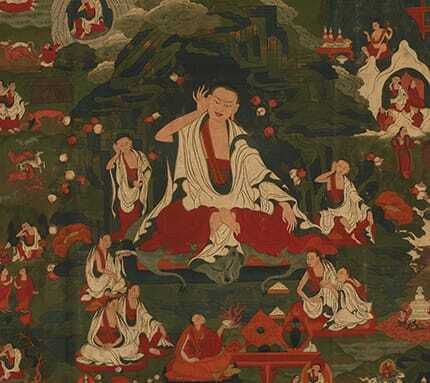 These works—The Twelve Great Disciples and The Black Treasury—were very popular in Tibet and contain much more extensive collections of Milarepa’s songs. The Black Treasury, edited by the Third Karmapa, represents the largest collection of biographical materials on Milarepa, as well as of his songs. Interestingly, the three earliest biographies and The Twelve Great Disciples characterize themselves not as public dharma teachings but as tantric instructions in the ear-whispered lineage, requiring empowerment and so on. Quintman presents Tsangnyön Heruka’s fifteenth-century version (translated by Quintman in The Life of Milarepa) as the innovative work of Tibet’s first multimedia biographer. He did not so much rewrite Milarepa’s life story as bring the preexisting vast biographical corpus to life; his version is largely based on the biographical compendia, though that is never mentioned. He accomplishes this through a more refined crafting of the narrative as well as by sometimes splicing and rearranging story fragments and songs to form new episodes, something that is also very common in the Indian doha tradition. From a Buddhist point of view, this can be seen as a skillful means used to illustrate the path to liberation through a seamless captivating account. Besides this general approach, Tsangnyön introduced three significant innovations. For the first time, Milarepa’s life story and songs were published as two separate volumes, resulting in a more cohesive plot. Tsangyön structured the biography in twelve chapters by following the traditional framework of the Buddha’s life in terms of his twelve deeds, though the correlations seem for the most part quite arbitrary. More importantly, he phrased chapters 1 through 11 in the first person, making it appear as if Milarepa himself were speaking. It was believed that Tsangyön not only had a vision of Milarepa telling him his life story, but that he was in fact Milarepa’s reincarnation and therefore had lived his life. This intimate relationship between Tsangnyön and Milarepa blurred the lines between biography and autobiography. As Quintman says, “What is unnatural about Tsangnyön’s biography is precisely that it appears so natural, so real. It seems so close to its subject, to the point of being its subject.” Thus, in a somewhat peculiar inversion of the preoccupation with genealogies, origins, and earliest sources (common in both Tibet and the West), Tsangnyön’s biography of Milarepa’s life superseded all previous ones and still, to this day, is believed to be the most accurate and authentic version of his life. It is worth noting that there is little consensus among the different biographies, even with regard to the basic facts of Milarepa’s story. Some claim he was an emanation rather than born as an ordinary being. His mother is said to have died in his youth in some versions and not in others. In some accounts Milarepa avenged his mother through magic, while in a variation of this story she is said to have murdered relatives and brought down a hailstorm with a magic dagger sent to her by Milarepa. In other biographical accounts, Milarepa did not commit crimes and other evil deeds but rather dedicated himself solely to studying and practicing the Buddhist teachings. Furthermore, the details of the places he traveled to, the amount of time he spent with his teacher Marpa, the identity of his students, and even his songs are all disputed. Interestingly, prior to Tsangnyön’s biography, Milarepa was always portrayed as an emanation of the Indian Dzogchen master Manjushrimitra, and thus as an already accomplished being manifesting as an ordinary person to demonstrate the path to awakening. Tsangnyön’s version was the first and only one to state that Milarepa was an ordinary person and to vehemently deny stories that he was ever an emanation. This accords with a famous story of Milarepa, who in response to a student’s request to reveal whose emanation or incarnation he is, says, “There is no greater misunderstanding of dharma than to see me as an emanation because you do not recognize the greatness of perfectly practicing the pure dharma.” In other words, regarding the guru as an incarnation or emanation is viewed as a serious impediment to one’s spiritual practice, for ultimately, progress on the path depends entirely on one’s own efforts. If achievements like those exemplified by Milarepa are considered attainable only by already realized beings, then they appear to be out of reach for common folk. In that vein, Tsangnyön successfully used and heightened the tension in the story of Milarepa as an ordinary being leading an exemplary spiritual life. Tsangnyön may also have chosen to portray Milarepa as an ordinary being as part of his emphasis on returning to the Kagyu core values of yogic meditation and mountain retreat, which he followed himself throughout his life, thus distancing himself from religious institutions and hierarchies, such as the tulku system, as well as from the intellectualism represented by Milarepa’s encounters with a number of geshes. Maybe Tsangnyön also found it strange that even though Milarepa was supposed to be an emanation of a Dzogchen master and not a Kagyu forebear, he failed miserably in Dzogchen before he met Marpa. Ironically, in a parallel story of a student asking Tsangnyön whose incarnation he was, he admitted that he was indeed Milarepa’s rebirth. Moreover, Tsangnyön’s biography of Marpa retained the tradition of Marpa being an incarnation of Dombi Heruka and an emanation of Hevajra. 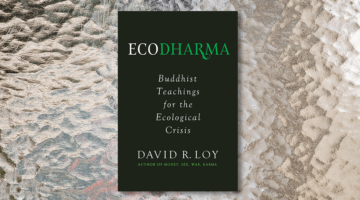 Whether Milarepa’s life story and songs are read as a model for the path to liberation, as spiritual poetry, or as a document of the social history of eleventh-century Tibet, they never fail to engage and inspire. 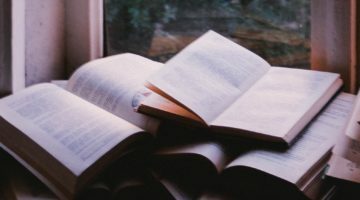 Quintman offers us a rare glimpse into the vastness of the biographical materials on Milarepa’s life and an insightful look at their development. One small criticism that could be made is that when the author lists modern translations and adaptations of Milarepa’s songs of realization, he fails to mention the collections of Milarepa songs translated, set to melody, and recorded under the direction of Khenpo Tsultrim Gyamtso Rinpoche by Jim Scott, Ari Goldfield, and others, which represent a continuation of the living tradition of these vajra songs in English. For many modern-day practitioners, these songs are an important link to Milarepa’s life and teachings and a source of great inspiration.